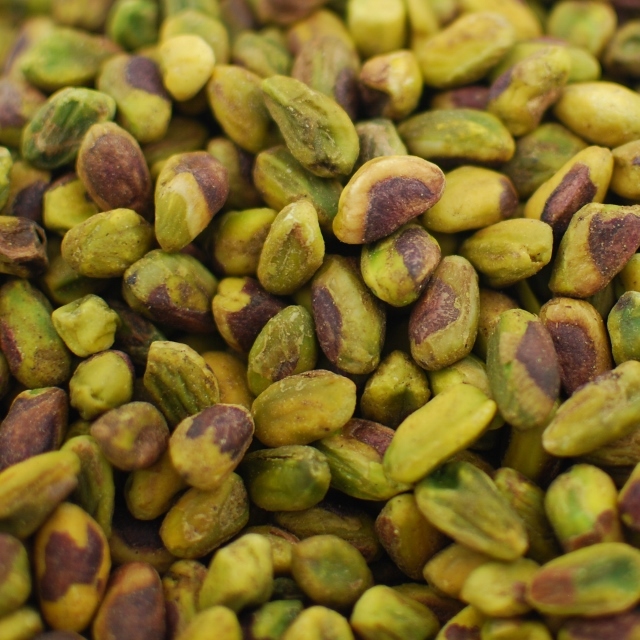 Pistachios are little packages that pack a punch. Pistachios health benefits include an incredible amount of protein, heart-healthy fats, and minerals, especially potassium. Napa Nuts sells raw pistachios, shelled pistachios, roasted and salted pistachios in the shell, roasted and salted pistachio meats and pistachio flour. All our pistachio products are grown and processed in California.